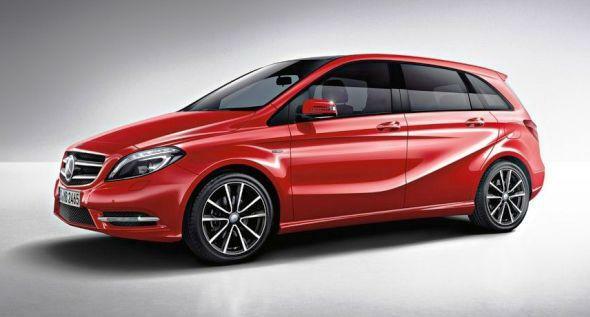 Mercedes to launch B-Class this month! The Mercedes brand is soon going to reach out to a much wider section of buyers with the launch of the B-Class this month, likely on the July 19. The B-Class is what Mercedes calls a ‘Sports Tourer’, which is actually more of a multi-purpose vehicle than a large hatchback. This will be the lowest-priced Mercedes model in India. The B-Class is expected to be positioned directly against the BMW X1 and the Audi Q3. However, Mercedes is likely to get aggressive in its pricing to appeal to a wider audience, with prices starting at just under Rs. 20 lakh for the base petrol variant. The B-Class will likely have two engine choices, a petrol and a diesel, with two different power choices each. The petrol will be a 1.6 litre turbocharged engine offering 120 bhp and 154 bhp of power, mated to a six-speed manual transmission or a 7-speed automatic transmission with paddle shifts. The diesel engine in the B-Class is likely to be a 1.8-litre unit that puts out either 108 bhp or 134 bhp depending on the variant with a six-speed manual transmission. For the first time, Mercedes will be introducing a front-wheel drive vehicle in the Indian market. Safety is going to be of high-priority for the B-Class, and expect the car to come loaded with all the Mercedes safety kit such as six-airbags, ABS, collision prevention assist and seat-belt pretensioners. The top-end variants of the B-Class will also likely get electric seats, a panoramic sun-roof and tinted windows. The B-Class will open up the Indian entry-luxury market and may even lure buyers away from other premium brands at the Rs. 20 lakh price point. The B-Class is a spacious vehicle with enough boot space and seating space for five adults. 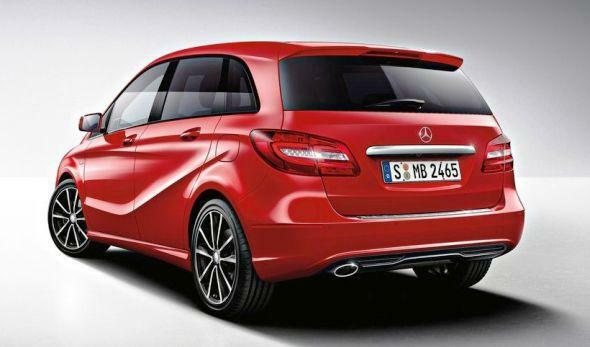 The launch of the B-Class will pave the way for the launch of the A-Class by January 2013, which will significantly ramp up the volumes for Mercedes Benz. What do you think of the B-Class? Can it outsell the BMW X1 and Audi Q3?